The River Damsel: Diagnosis: F.P.D. Well, it only took me two years of many office visits, labs, MRI's, and Ultrasounds (and thousands of dollars to boot) to find out what ails me...And guess what? 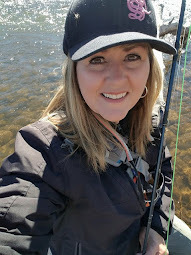 It wasn't a doctor who gave me the diagnosis...no, it was a fellow blogger, Mark @ flyfishsc !! Doctors have not been able to come up with an answer...does that sound familiar? So, what is this diagnosis? F.P.D..."Fly Poler Disorder". All I had to do was to say the word, "FLYPOLE" in my last post! I have to give partial credit to Quill Gordon for noticing that I've been saying this word quite often. I'm thinking that this goes back aways in my ancestry...now that I think about it. You see, when my aunt and uncle went to Germany and Russia about 15 years ago, my aunt was way into genealogy...She wanted to dig around a bit for missing pieces of information. My aunt through marriage, she is Polish. My uncle, (my dad's brother) had always loved to rip out the Polish jokes throughout their marriage. So, one day, she finds some old journals in a part of Russia that used to be Prussia. And Prussia was part of Poland at one time. Oh, she was so excited...a great find!! At last, she could tell my uncle more about his ancestors. Quote unquote..."Glenn, you are such a dumb Polack, you don't even know you are one!" Haha...we all had such a good time with that story. He could no longer make cracks at her. So, you see, I am 1/4 Polish and maybe that is why I tend to call my "Fly Rod" a "Fly Pole" ...simple. Now, for the "Fly Poler Disorder" that Mark speaks of...that could very well be something that a lot of us have...If you want to use it as an excuse, go right ahead. 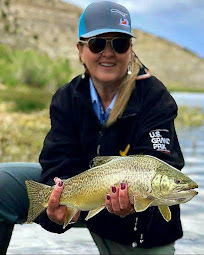 So, next time you are told that you fly fish too often...just tell them that you have F.P.D... And you hear that it is contagious, but cureable by only one type of treatment...MORE Fly Fishing!!! And FYI...if you fish once a week, it keeps the disorder dormant... I've done my homework on that one. Heehee. I might have a little more of this F.P.D. than the Average Joe because of my heritage, but I think that I can learn to deal with it. Ya know, I'm also thinking that maybe because I have some Polish blood, this might also be why I have leaned towards Polish/Czech nymphing too...Things that make you go "hmmmm...."!! Mental Note:: I spin cast with my fishing pole. I fly fish with my fly rod. LOL, who really cares anyway tho? ... as long as their is a fish at the end of it!!! Sugar, mine too! ( Closeouts, deals, all that good stuff.) We always pronounce "clearance" as "Clarance" in my family and know that "Clarance is our friend." Yeah honey we know it's kind of corny, but that's just the way Auntie rolls. As for F.P.D., I think you have the worst case of it in the history of F.P.D. You should make sure to go out twice a week, whenever possible. Maybe that would make your blog posts a bit better, too. No offense, dear. Hmmm... around here a rod is something you fish with.. and a pole is something a girl dances around when she's broke or mad at her parents.. Funny post Damsel and I think bottom line is, no matter where you are from you could have FPD. It's always best when you know what ails you. It's also good to know that such a simple remedy is available, when even those high priced doctors don't know what the problem is. So get out there and stand in the river waving a fly pole. You'll be better in no time. Shoreman ~ Congrats on the OBN contest! And I am feeling much better now...thanks! I have F.P.D. , but I don't suffer much. Who'd a thunk it? The city slicker turned troutbum would have the answer all along and not even realize it. FPD has a nice ring to it. Now you have to go to Fly Poler's Anonymous. I hear that they have a twelve step program too (may be more steps, depends on how far you park from the stream.) Just take it one cast at a time, and you'll make it! Luke ~ Join the club...it's really not that bad. Hi, my name is Mark and I have FPD. Let's just get that out in the open. Anthony ~ You know that the first step is admitting that you have Fly Poler Disorder. And Luke, Mark and I are on our way to better health already...why don't you and Cofisher join us? I'm sure that you can handle the rest of the "steps"!! Don't feel too bad. I never say bluegill, it's always blugle. Go figure! Nice rod/pole btw. I hope to evolve to such a nice specimen as my FPD progresses! A fancy new "whatever". Looking forward to hearing about it's first trip on the water! excessive weather report watching, and extreem fly tying sessions. Wow I am pretty sure now after reading your post that I also have F.P.D. I will attempt to explain to my wife how going more will make everything better. BTW awesome rod. Wish I could get something like that! Pam ~ You just made me feel a whole lot better! Richard ~ That's ok...a good balance usually is best! Jeff ~ Welcome aboard! I hope to see you back! 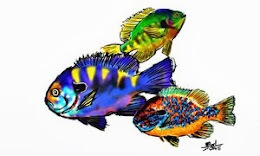 I really like your fish photos!! Everyone, check out Jeff's blog...you'll be glad you did. I Hope FPD is not curable. 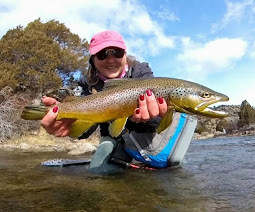 I fly fish almost every day so mine should not get out of hand. Philip ~ Thanks for stopping by today. Sounds like you are keeping your F.P.D. in check! I guess I'll have to lay off if it's a recognized disorder. At least it's not a syndrome, right?